It is very important to process an order as quickly and as efficiently as possible for every store. It helps to get a better reputation for your business and get more profit. Proper order management helps you to improve your business and keeps the customers happy so they want to visit your website one more time. Imagine that you need to complete the order all at once and to do that you need a lot of time. 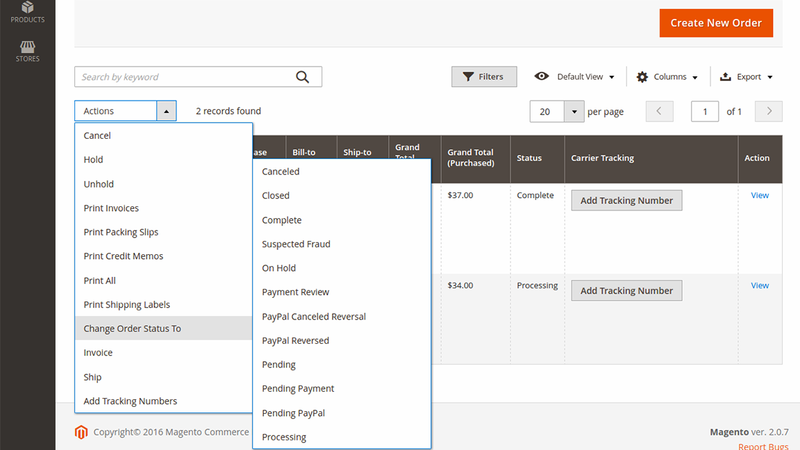 So now with our module Mass Order Processing, you can change order statuses, send invoices, submit shipments and add tracking number just in a few clicks. 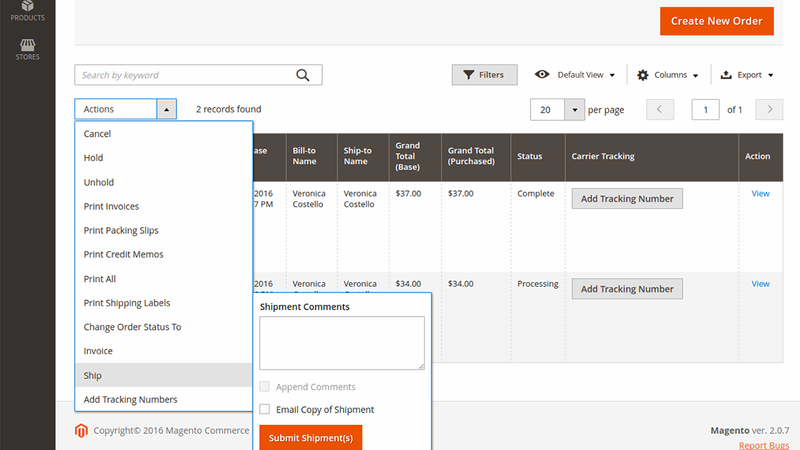 Now you don't have to go to the order page each time you need to process an order. You don't need anymore to browse between orders and wait for page loads. Just select an order from the list and apply all necessary actions. Increase the productivity of your store with the Mass Order Processing. It is very important to manage orders as quickly and as efficiently as possible to built a great reputation for your store and to get more profit. 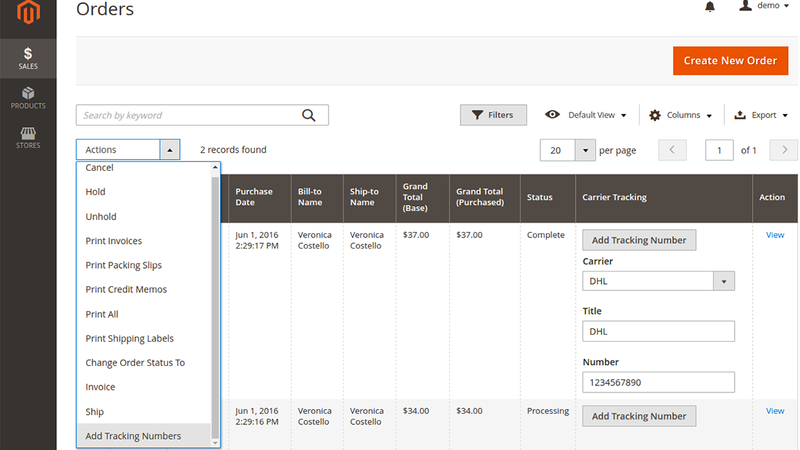 With the Mass Order Processing extension you can change order status, send invoices, create shipments and add tracking numbers right from the order grid. Having Mass Order Processing extension you shouldn’t have to go to the order page each time you need to process an order. No more endless browsing between orders and waiting for page loads. Just make a couple of clicks and you will manage orders. This extension will help you to cope with a lot of work with a few clicks. Change order status right from the order grid. Just select an order and change its order status just in a few clicks. 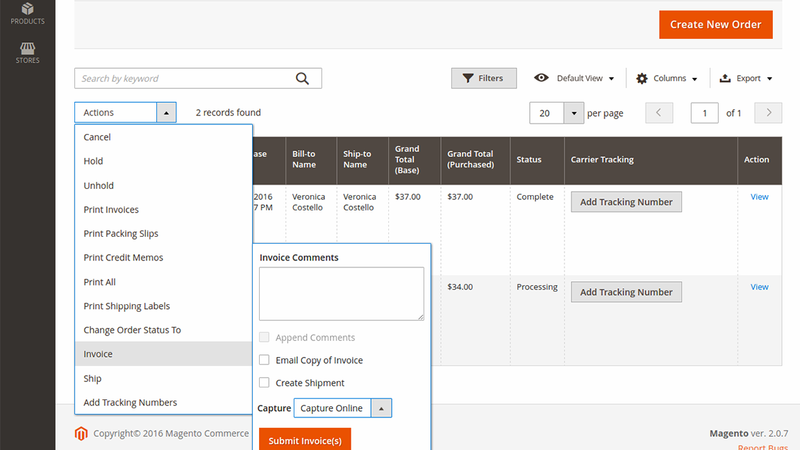 Now you can send an invoice right from the grid. Just write an invoice comments and click the button “Submit Invoice” and the work is done. 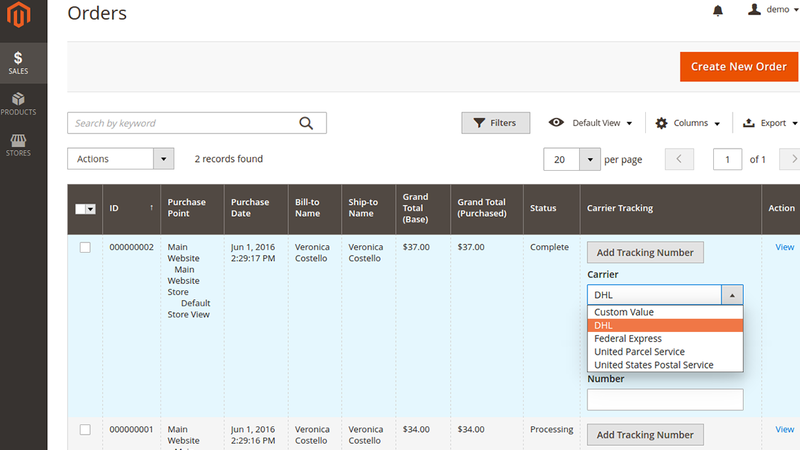 The Mass Order Processing extension allows you to create shipment for the order right from the grid. You can add tracking number right on the grid. 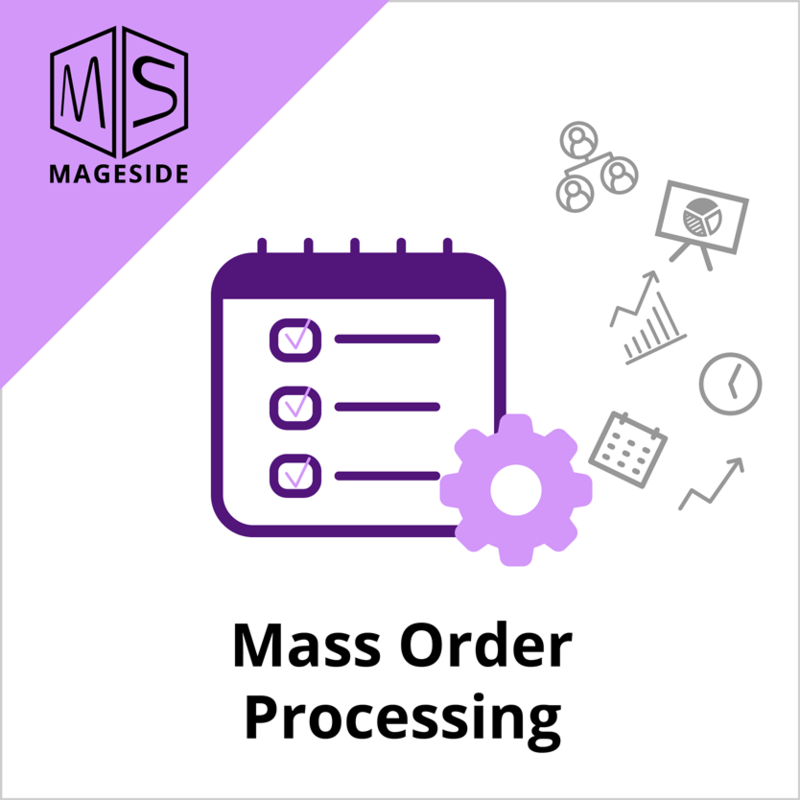 If you want to process orders as quickly as possible and moreover efficiently, the module Mass Order Processing will help you to do that just in a few clicks. The extension Mass Order Processing will save hours of your time each week compared to the standard Magento® workflow.